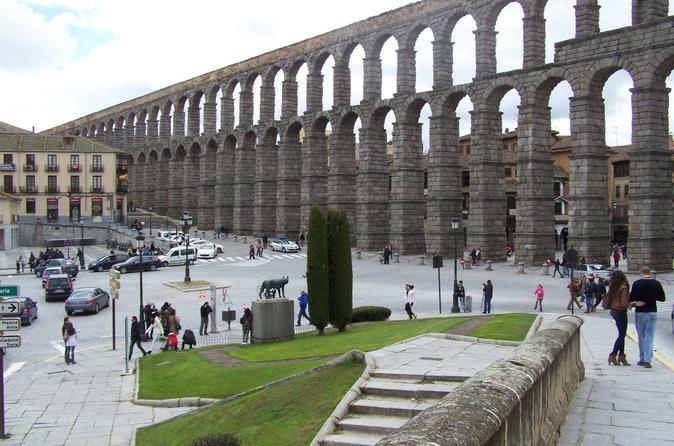 Depart from Madrid to visit the two unique cities of Avila and Segovia on this full day tour. After exploring the rich history of both places with your guide, you will be returned to Madrid. Later that night, make your way to one of the most unique flamenco shows in the world, where you will enjoy a complimentary drink. Avila is one of the oldest cities in Spain, surrounded by very well-preserved medieval walls from the XI century, resembling an immense castle. The old quarters hold an important number of Romanesque Churches, Gothic Palaces and its XII century Cathedral, the first Gothic one built in Spain, is also fortified. The city is the birth place of St Therese, source of the Spanish Catholic mysticism. Visit the outskirts of the Cathedral, the Romanesque Basilica of San Vicente, Mayor Square and a brief walk through its old streets to see the Convent of St Therese. At the designated time, go by your own to the Tablao Flamenco Torres Bermejas, opened in 1960, the most important and unique flamenco show. Torres Bermejas is unique for its stunning room that reproduces inside the Bermejas towers of the Alhambra in Granada with walls with Arabic motifs, tiles, and wooden coffered ceilings, and home of the most famous Flamenco singers and dancers, where you will feel a real ambience and see a magnificent show and enjoy a drink. Return back to your hotel is not included.